why emails go to spam instead of inbox? Why does it go to promotions tab? One of the most defining success points of an e-mail marketing campaign could be “High E-mail open rate”, “Great Click Rate”, etc. But If in case if your e-mails are landing up in your subscriber’s promotions tab or spam folder then that E-mail marketing campaign might not give good results. The reasons for this is that most people don’t check their promotions tab frequently like the way they check their inbox every day. You might have come across this question “why emails go to spam instead of inbox”?. In this article, let’s understand the important things that can help you to ensure that your e-mails go to the subscriber’s inbox. Hoping that your e-mails comply with all the matters discussed in one of our previous post on e-mail marketing, let’s move ahead further. How to create a great google adwords audience List? So many of us know about Facebook audience targeting method. A simple definition of audience targeting is “the method of getting ads in front of the targeted audience”. When it comes to search engine marketing most advertisers are familiar with keyword targeting, topic & placement targeting. However, Google Ads ( formerly known as Google Adwords) also allows advertisers to do audience interest targeting in Adwords. In this article let us understand the best way to create a great Google Adwords audience list. 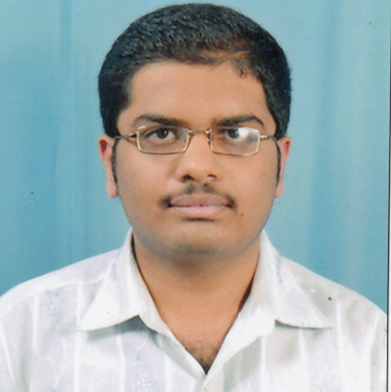 Santhosh is a Freelance Digital Marketing Consultant and Expert from Mysore, Karnataka, India. He help’s businesses & startup’s to grow online with the help of digital marketing. Also, Santhosh is a professional digital marketing blogger. He loves to write articles about Social media marketing, SEM, SEO, Email marketing, Inbound Marketing, Web Analytics & Blogging. He shares his knowledge in the field of digital marketing through his blog Digital Santhosh. How To Enhance Engagements For Your Social Media Campaigns? Social Media Advertising: How can it give impactful results? Get Free Digital Marketing Tips! Subscribe to our Mailing List and Get Free Digital Marketing Tips!